Byrama epitomizes the image of a filly Eclipse seeks to acquire, develop and manage into a Grade 1 winner. 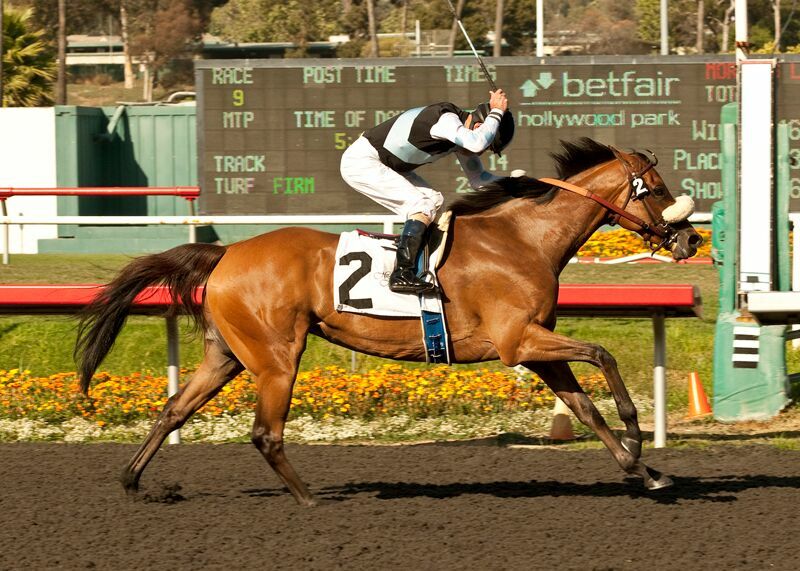 Plucked for a modest price from the stix in Europe in the summer of her 2 year-old season in 2011, Byrama carried the Eclipse colors to post 24 times, winning 3 Stakes, including a brilliant win in the Grade 1, $250,000 Vanity Handicap at Hollywood Park. Known as a turf sprint specialist, Byrama’s crowning moment came in 2013 when she streaked to victory in the 9 furlong Vanity on the synthetic, signifying her incredible raw talent and versatility. Known as “Nails” by the Eclipse brethren, Byrama was sold at auction for $750,000 after racking up five wins, seven 2nds and nine 3rds during a career in which she earned over $650,000.